St. Mark’s is a K-12 co-educational college, operating within the Association of Independent Schools (NSW). 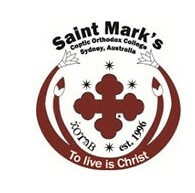 St. Mark’s was established in 1996 at rented premises in Lidcombe and moved to our present site at Wattle Grove in 1999. We are proud of our Coptic Orthodox heritage and this faith is the cornerstone of our College community. Apart from the Coptic people of Sydney, we are attracting increased interest from members of the local community who value the strong Christian ethos of the College. There is a strong family feel to the College, with the wider Coptic Community, the Coptic Church, the parents, the students and staff all contributing to the welcoming atmosphere of the College. Participation in Music, Sports and other co-curricula activities is strongly promoted within the College, with the view to producing well-rounded individuals who can contribute positively to Australian society. Camps are an important feature of the College curriculum, providing important experiential learning and a diversity of cultural experiences for our students. All of our students are encouraged to strive for excellence in all of their pursuits. Excellence is always defined in relative, rather than absolute, terms. Personal best becomes the reference point for these determinations. A strong staff assist the students to achieve their educational goals, within a caring and safe environment.